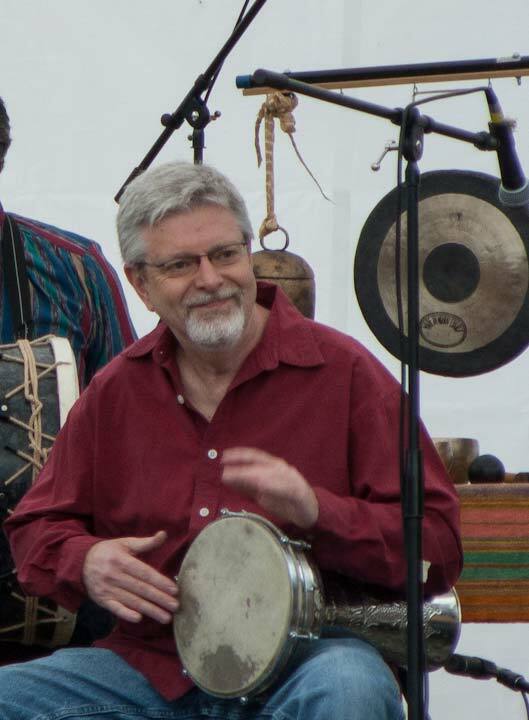 John studied music theory with jazz great Kenny Barron and experimental music with avant-garde composer Daniel Goode at Rutgers University, where he was first exposed to intriguing musical expressions found in non-western musical forms such as Indonesian gamelan, Indian ragas, African mbira and Sufi Trance music. During this period he performed in a variety of groups in the New York area including the Bangone Ensemble, Livid Moon, The Patty Dukes and Goode’s Livingston Electro-Accoustic Ensemble. 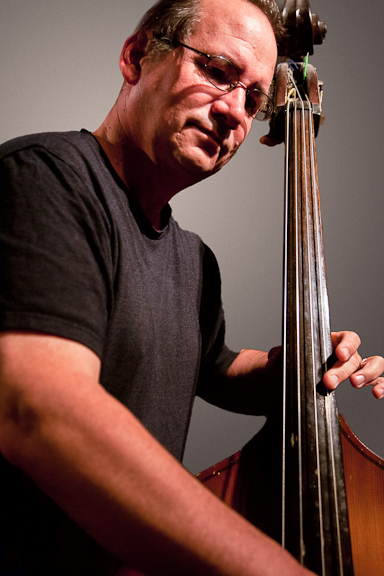 He played bass in the San Francisco Bay Area-based chamber jazz group, Solaris (where he met future MPO member Joe Jowdy, who played drums in the group). A self-titled recording, released in 1986 and produced by jazz guitarist Ed Dunsavage captured the group’s original sound. While in the Bay Area, John hosted a late night radio show, “The Return of the Vampire Cows” which attracted a small but devoted following of disoriented zealots. After relocating to the Pacific Northwest, he joined a world-music trio, the Sniffing Dervishes before founding the Monkey Puzzle Orchestra in the 1990’s. John plays a variety of diverse instruments including marimbas, kalimbas, hand percussion, digital horn, keyboards and bass. He recently traveled to Bali, returning with several gamelan instruments. As a professional storyteller Doug is recognized as a World Folklorist. His repertoire includes hundreds of stories from cultures around the world. Doug’s desire to bring the world cultures alive in his stories led him to a study of indigenous and culturally specific musical forms. 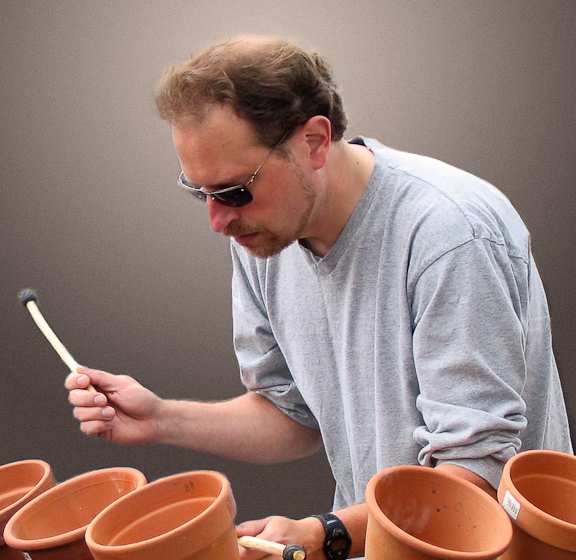 Doug has invented and built a number of instruments such as the story harp and the steel bowl tree, however he is primarily a percussionist and, as a member of the World Percussion Society, has studied with such greats as “Pepe” Danza, John Burgamo, Arthur Hull, and Glen Velez. Doug has developed a unique style which he brings to the music of the Monkey Puzzle Orchestra on a number of instruments including Djembe, Doumbek, Cajon, Hoop Drums, Udu, and Darabuka. He also builds and plays a variety of Native American style flutes and has recently added the haunting tones of Slovokian overtone flutes (such as the Fujara and Koncovka) to the Orchestra’s otherworldly sound. Doug has travelled extensively in China and has brought back instruments from his travels that have found their way into the group’s repertoire. Doug’s primary interest lies in how the creative exploration of music lends itself to the optimal experience called “Flow”. Joe experienced the spirit and excitement of drumming at an early age while growing up in the outskirts of New York City. Influenced by drummers ranging from Ringo Starr and Carl Palmer to Buddy Rich and Elvin Jones, Joe’s early journey of primarily self-directed study led to the Boston University School of Fine Arts, for a formal initiation into the study of percussion with an instructor from the Boston Symphony. Later, Joe was introduced to West African rhythms by master percussionist Tony Vacca. His studies continued on the west coast with jazz icon Eddie Marshall. While living in the San Francisco Bay Area, Joe was asked to fill the drum chair in the progressive jazz group Solaris, where he met John D’Onofrio, beginning a musical friendship that would span the next 25 years. During this period, Joe’s musical interests grew to include world influences such as the avant-percussion and improvisational collaborations of Yusef Lateef and Adam Rudolph, and the percussive drive behind the heart opening vocals of Mariam Matossian. For Joe, rhythmic improvisation lies at the intersection of heart and mind, spirit and intellect; where souls, brought to the here and now, meet and create. 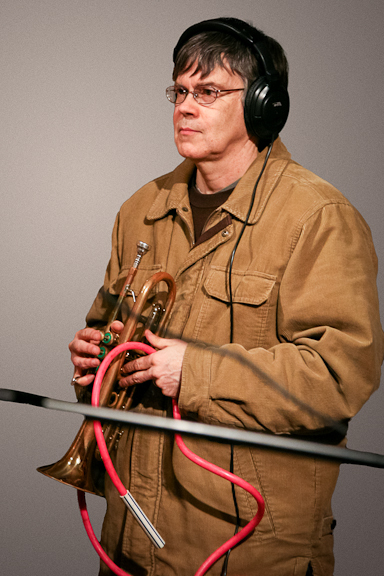 David MacLeod’s evocative flugelhorn and cornet were a natural addition to the Orchestra’s sound and he joined the group in 2011 for several performances and recording projects. An eclectic artist, MacLeod also introduced the shofar (ram’s horn) as well as his amazing collection of Tibetan singing bowls to the Orchestra’s sound. His sweet, idiosyncratic horn playing has become a staple of the Orchestra’s performances. 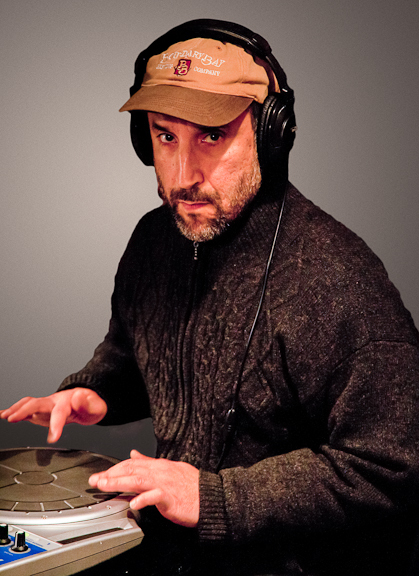 Ted Rosen is an explorer of world culture and esoteric sounds. He has been associated with the Orchestra since 2003 and his strange and powerful vocals on Hyenas on a Train from Terra Incognita (2005) brought him to the forefront of the Monkey Puzzle experience. Ted, a dyed-in-the-wool digerati, contributes a wealth of electronic sounds to the mix, including electric guitars, bass, and keyboards. 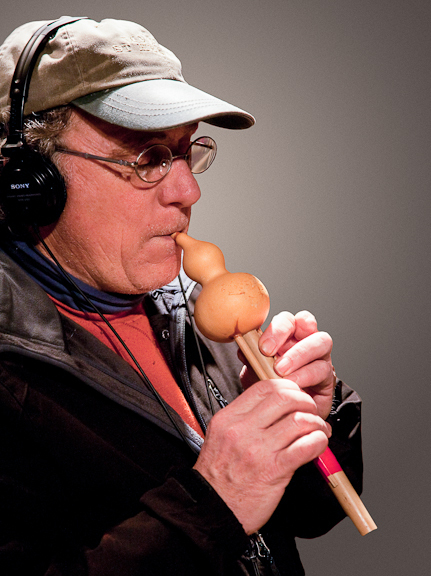 He has also performed on various ethnic percussion instruments including kalimbas and marimbas, as well as unique instruments such as flowerpotaphone. Recently, Ted has taken the reins in mixing and mastering the Orchestra’s music and imbuing it with his unique, somewhat off-kilter – but always engaging – sensibility. Steve Jones has recently joined the musical mix. A former percussionist with Afro-Cuban/Jazz ensemble Yambique, he has also played with Rumors of the Big Wave, Oba Oba and Joel Litwin’s Arete Quartet. But percussion is just a part of his musical resume. Jones plays damn near everything. He steals the show at performances with his range – conjuring up sparkling solos on anything from doussn’gouni to toy accordion.